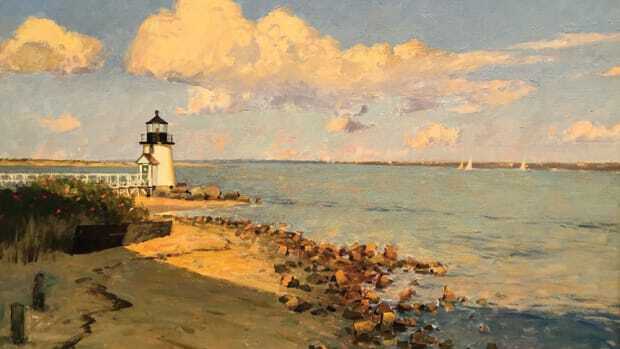 Walton graduated from England’s Kingston University, then worked with some U.K. publishing houses. 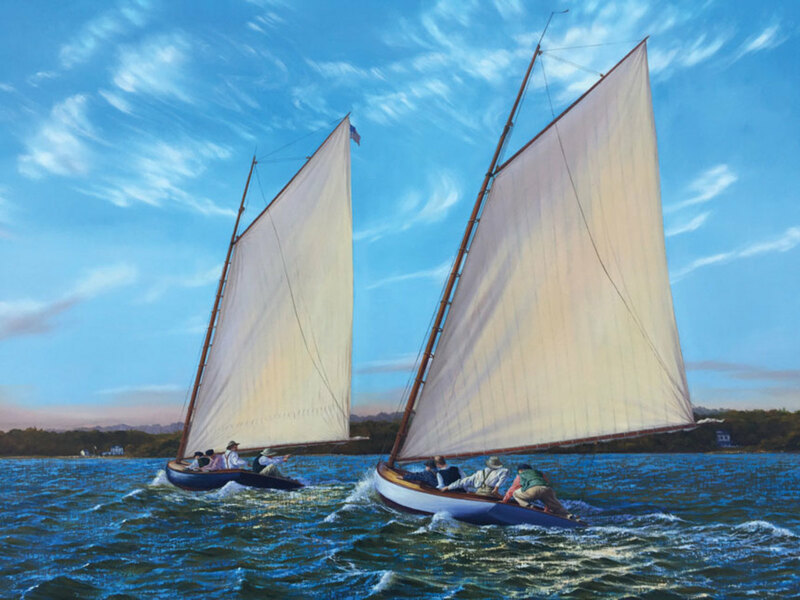 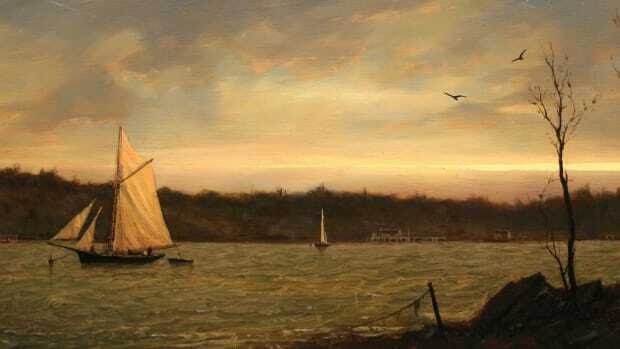 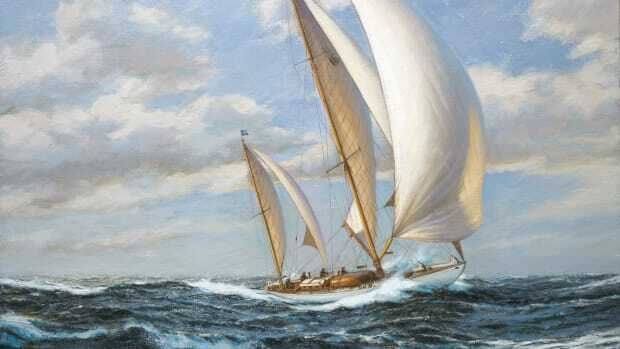 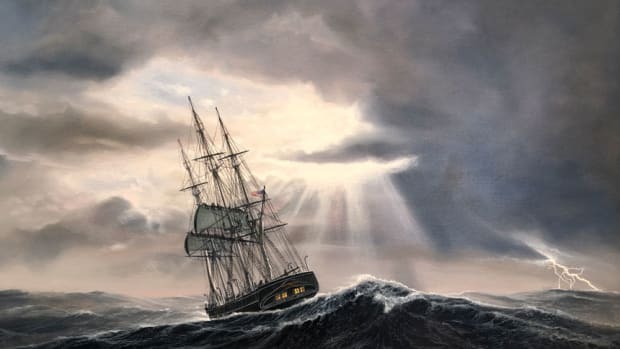 He has shown his work with the Royal Society of Marine Artists and at the International Marine Art Exhibition and Sale at Mystic Seaport in Mystic, Connecticut. 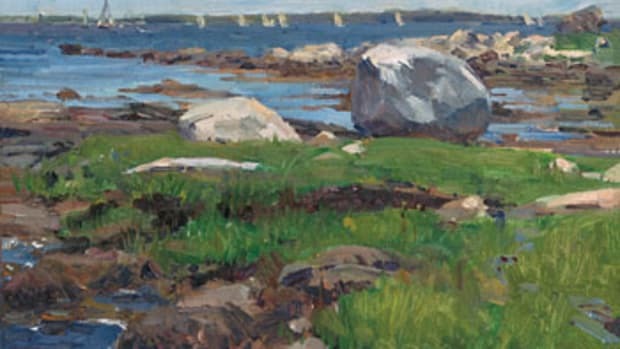 To view this and other works by Andrew Walton, visit the J. Russell Jinishian Gallery website at jrusselljinishiangallery.com or visit the gallery at 1899 Bronson Road in Fairfield, Connecticut. 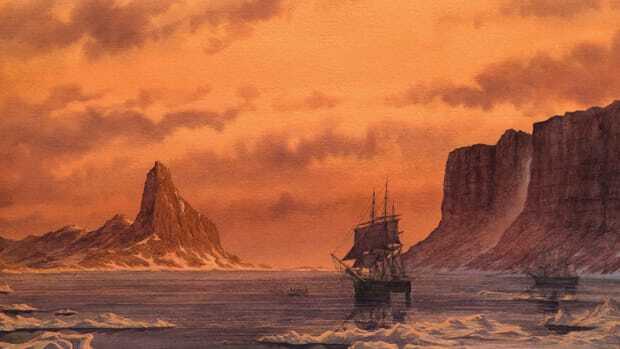 “In my dreams, I am standing a 2 a.m. wheel watch, running down some long, lonely reach of flat water, snow-capped mountains glistening in the moonlight on either side … [cruising] endlessly through the black Alaskan night,” says watercolorist Cooper Hart. 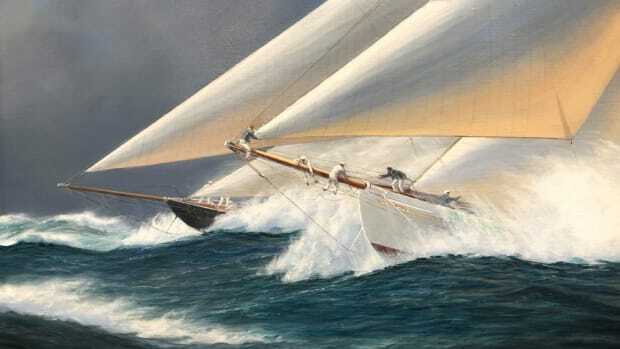 The 52-foot racing yacht Dorade careens in a very stiff following wind on her way to a record performance in the 1931 Transatlantic Race, with the spinnaker sheet led to windward of the forestay and eased out.